MOSCOW, March 19. /TASS/. 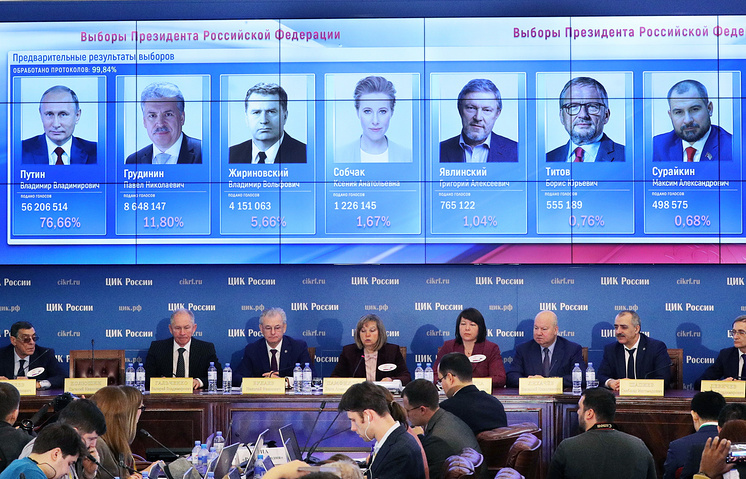 More than 55 mln Russians have voted for incumbent head of state Vladimir Putin in the March 18 presidential election, Russia’s Central Election Commission (CEC) said, citing preliminary data. A total of 55,013,955 people have voted for Putin with 98.59% of the ballots counted. 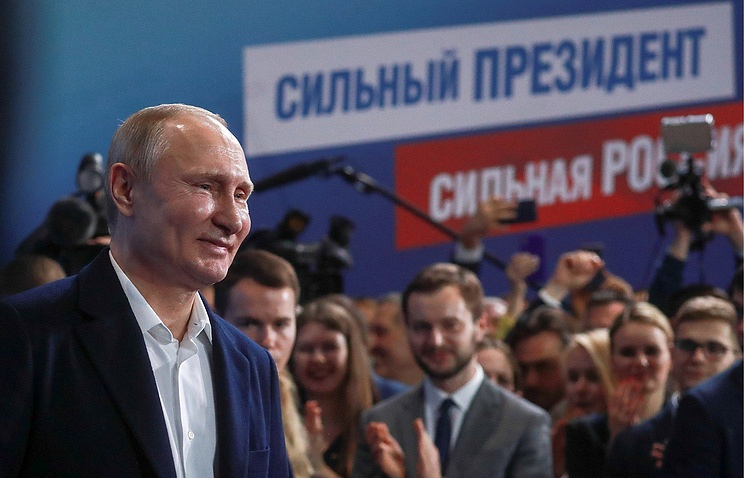 Putin has achieved an unprecedented result in the presidential election. In 2002, he received 52.94% of the vote as 39.74 mln people voted in his favor. In 2004, he got 71.31% of the vote (49.56 mln votes). In the 2012 election, as many as 45.6 mln people (63.6%) supported Putin. Putin ran for president for the fourth time.